Joseph bed and breakfast travel guide for romantic, historic and adventure b&b's. 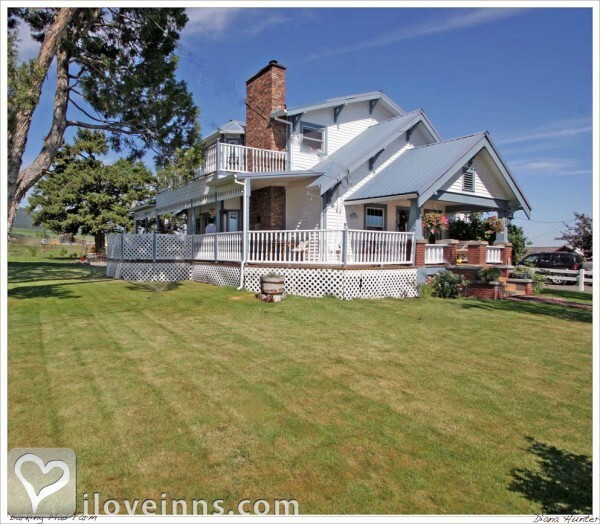 Browse through the iLoveInns.com database of Joseph, Oregon bed and breakfasts and country inns to find detailed listings that include room rates, special deals and area activities. You can click on the 'check rates and availability' button to contact the innkeeper. Art center of Northeastern Oregon featuring galleries, unique shops, good restaurants. Discover the monumental bronze statue art walk on Main Street. Exclusive artist studio tours. Events most weekends in summer. Portal to Hells Canyon Scenic Byway, Wallowa Mountains and Wallowa Whitman National Forest. The perfect getaway from Portland, Seattle, Spokane and Boise. By The Bronze Antler Bed & Breakfast. Are you longing for that dream vacation where you do nothing but enjoy the great outdoors? The town of Joseph in Oregon has a wide range of outdoor activities and special events that you can do while you are in town. Whether you are visiting Joseph for weekend or for a week, you will never run out of fun activities to do! Joseph, Oregon provides refuge for people who are tired of a fast paced lifestyle. In Joseph, you can spend an entire day doing activities like hunting, fishing, boating, swimming, water skiing, para sailing, and even jet skiing. Worried about where to stay? Choose a Joseph bed and breakfast with friendly innkeepers. You can go camping, back packing, horseback riding, sightseeing, and golfing while in Joseph. Or you can just bask in the scenic byway of the Hells Canyon and have a picnic with your family in Wallowa Lake State Park. By The Bronze Antler Bed & Breakfast.